3mm plastik skaber til at fjerne klister og fæstevoks fra langrendsski. It’s plastic. 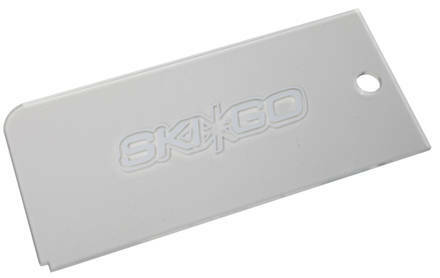 This scraper does what it is intended for and includes a notch to do the line on the base simply.